The good people at Yealink have revisited their already-excellent T4G line of phones and made some significant upgrades. Whether you’re looking for an affordable entry-level phone or a powerful executive model, the new T4S line offers something for everyone. All the T4S phones sport the same great industrial design as the T4G versions, but the technology has been upgraded to provide a smoother, more responsive interface. These enhancements also position the phones for future firmware upgrades. The new models all share a standardized firmware. End-users likely won’t notice a difference, but it will make the phones easier to deploy, and allow for a more consistent experience across the line. Among the improvements, the T4S devices now support the popular Opus audio codec, an HD codec in heavy use throughout the industry. A nice new feature that hasn’t got enough attention is Hearing Aid Compatibility. (HAC) Individuals with hearing loss will appreciate Yealink’s efforts to design handset that allows them to hear more clearly. The speakerphone has also been upgraded to provide even better audio quality. You’re sure to find something in the new T4S line that fits your needs. If cost is a deciding factor, take a look at the T41S or T42S. The high-end T46S is an excellent choice for executives and administrators. For a big-screen touch interface similar to your smart-phone, consider the T48S. 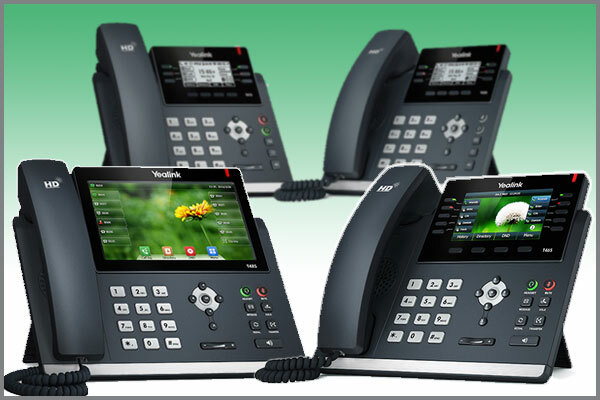 All these phones include the features you’ve come to expect from Yealink: HD Optima voice, 3-way conferencing, PoE Full-Duplex Speakerphone and more. *T41S & T42S support for USB recording, WiFi and Bluetooth pending.